MGM Resorts International has implemented an innovative wireless control network at its Mandalay Bay Convention Center to digitize more than 1,600 light fixtures covering approximately 1 million square feet of floor space across six exhibit halls. 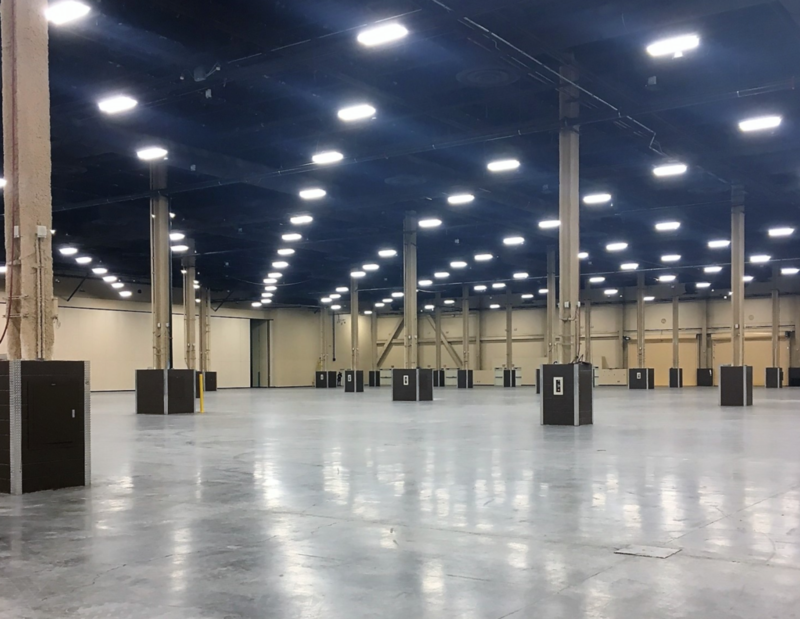 Current, powered by GE, installed its Daintree wireless controls network to reduce the amount of supplemental lighting required for major trade shows while gaining exhibitor-specific control capabilities in Mandalay Bay’s convention center, the second-largest in Las Vegas. Daintree combines Intel technology with web-based software to automate energy management, building control and system configuration from any location. According to GE, the new digital network was showcased earlier this year at one of Las Vegas’ largest trade exhibitions, UBM Fashion’s MAGIC Trade Show, where organizers reported that the need for supplemental lighting was nearly eliminated compared to prior years. The ability to modify light levels from 0-100%, along with real-time management capability above each booth, was a game changing benefit, according to organizers. Daintree is Current’s second platform to be designated as an Intel Market Ready Solution. Current and Intel also jointly market and sell Current’s CityIQ platform, which is being deployed in cities like San Diego, Atlanta and Portland, OR. Other Las Vegas hotels have gone the energy efficient route as well. In January, Wynn Las Vegas signed a PPA with renewable energy company Enel Green Power North America to buy energy from a 27-MW solar facility under construction in Nevada. “The energy produced by the new facility will be used to meet up to 75% of Wynn Las Vegas’s current peak-power requirements, which is the largest percentage of renewable energy used by any resort in Las Vegas,” according to Enel Green Power North America (EGPNA). And in 2017, the Plaza Hotel and Casino became the first in downtown Las Vegas to make the switch from cold cathode lamps to energy efficient LED sign lamps. According to the news release, this change provides a more traditional, warm lighting effect throughout the Main Street walkway and North Tower waterfall. The LED lamps, installed by local lighting company YESCO, mimic the true color and look of the iconic incandescent lightbulbs used years ago. The lights will replace the cold cathode lamps that were installed during the property’s 2011 renovation. At the time, cold cathode lamps helped to save energy, but their look sacrificed aesthetics. The LED lighting offers the opportunity to achieve both energy efficiency and a warm atmosphere.